A French guy found the same few days ago. Never want to post the cookies? I couldn't repeat this, so the cookie wouldn't be useful. 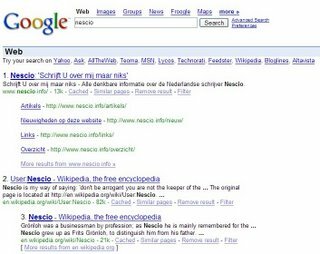 It is strange to all of a sudden see an image of a google search page having a website made by myself as first reference (especially since it is in Dutch!). I think it's even more strange that you found this site. 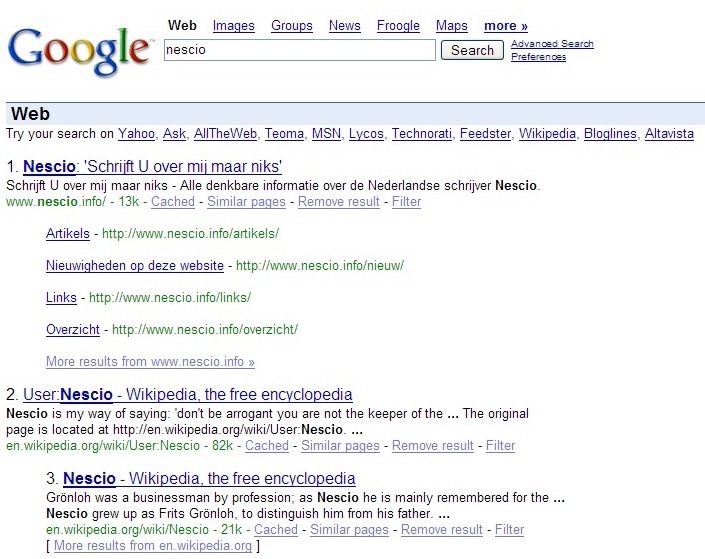 I was searching for latin expressions that use "nescio" (like "Nescio, sed fieri sentio et excrucior"). It appears ugly. Especially the extra spacing between the lines. I typically do not like just the first link.